Fluffernutters are delicious. That’s a fact. In case you’ve been living an empty sham of a life and are unaware of the magic of the fluffernutter, it’s basically like a PB and J, but with gooey marshmallow sauce subbed in for the jam. It’s the best. They have a fluffernutter-inspired flavour of gelato at Lola’s. Obviously I had to try it. 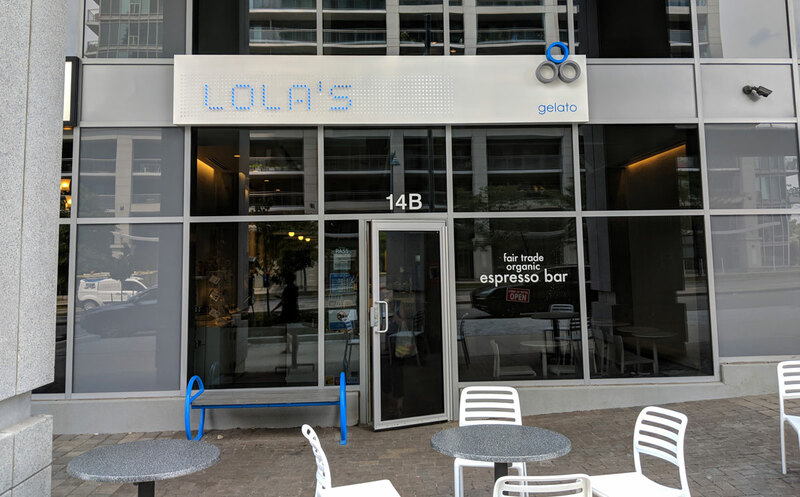 This was my first time having the gelato Lola’s. 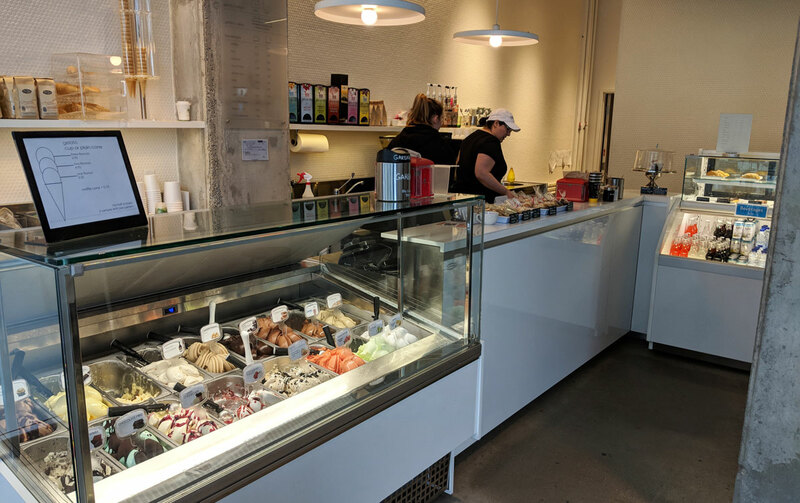 The quality is quite good — it’s not the richest or the creamiest gelato I’ve ever had, but it’s solid. It’s above average. 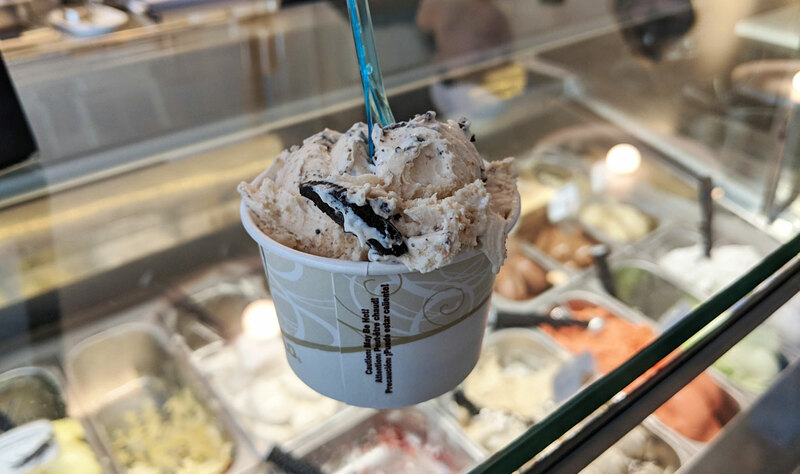 The flavour (called WTF – What the Fluffernutter) consists of peanut butter gelato swirled with marshmallow sauce, with Oreo bits interspersed throughout. It was really tasty. I wish the peanut butter flavour were a bit more pronounced — it doesn’t quite recapture the gooey, peanut-buttery joys of a fluffernutter sandwich — but it’s quite good regardless. Are you a cake person or a frosting person? Because the cupcake I had at Short and Sweet is making me doubt myself. 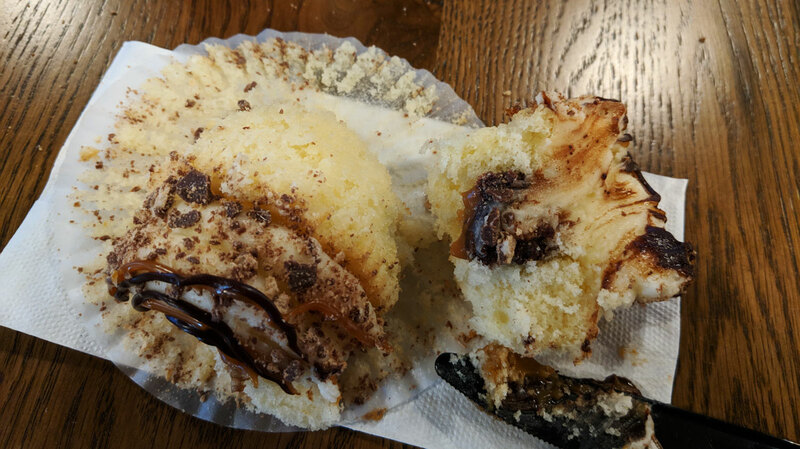 Generally I prefer a cupcake that’s a bit heavier on the cake in the cake-to-frosting ratio, but Short and Sweet goes hard in the other direction. And yet I quite enjoyed it. 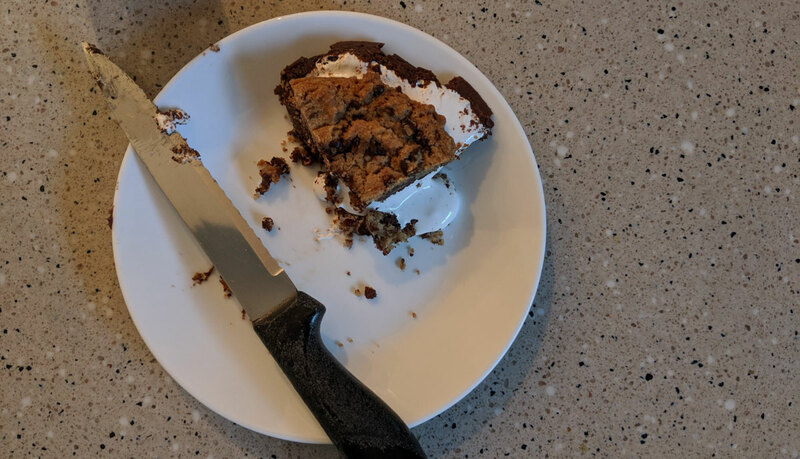 As you can see from the photo of its midsection, between the injected sauce and the icing on top, it’s something like 35 percent cake, and 65 percent sauce and frosting. It’s pretty intense. 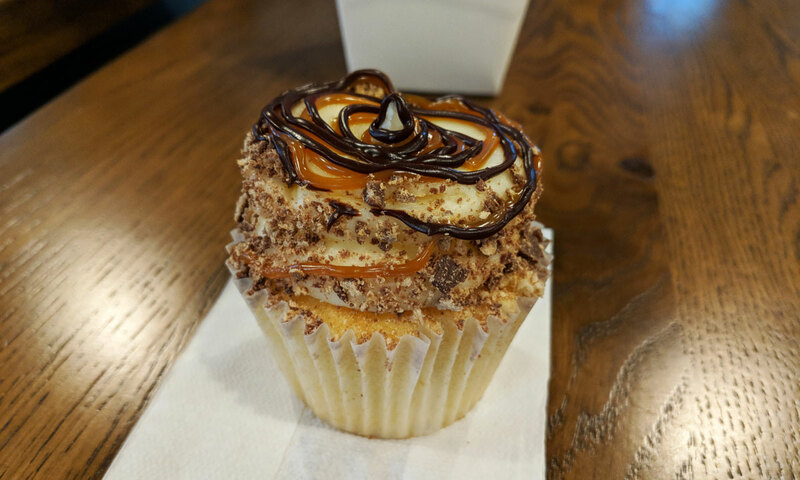 I got the Dream Team cupcake, which is a vanilla cupcake that’s been topped with vanilla buttercream and a swirl of caramel and chocolate sauces. It’s also injected with the aforementioned sauces. It’s an intense, in-your-face sugar bomb — and yet it somehow isn’t too sweet. All of the flavours go together so well. 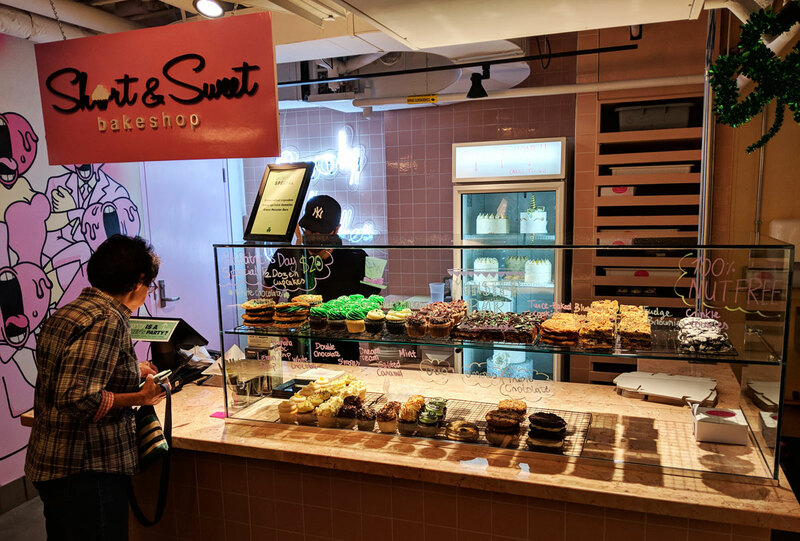 It helps that all of the individual components are great — the cake is moist and fluffy, the buttercream is smooth and velvety, and the two sauces are great. 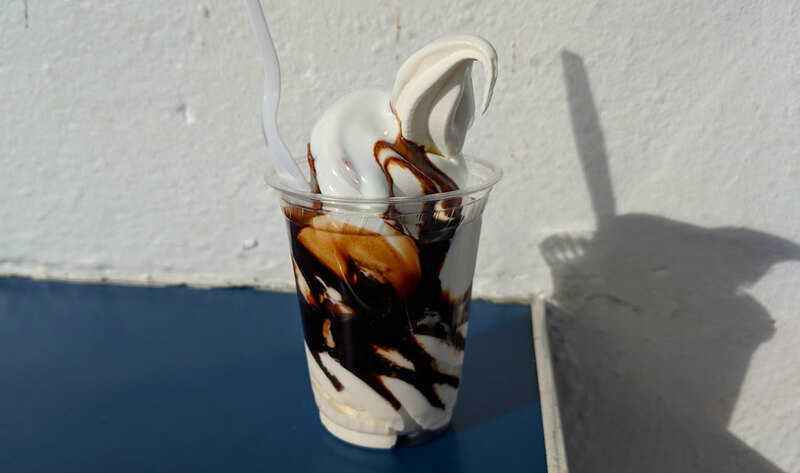 In particular, the rich, dulce-de-leche-esque caramel sauce is absolutely fantastic. But everything is so sweet, and altogether you’d think it would be way too sweet, but it isn’t. It works. 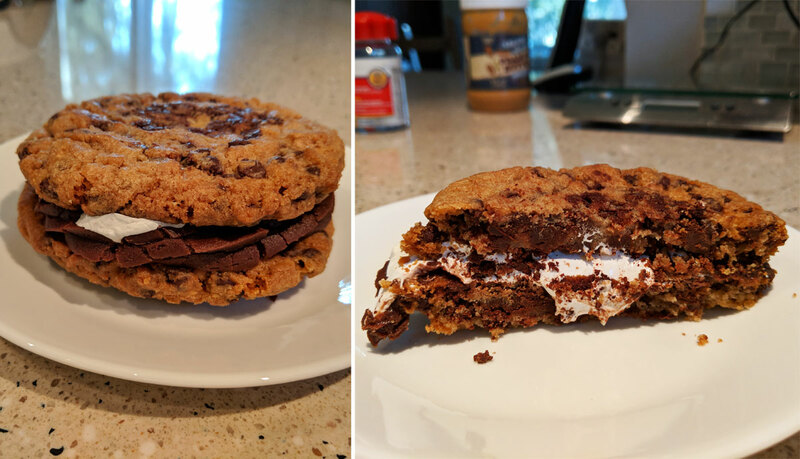 I also tried the s’mores cookie sandwich, which consists of two above-average chocolate chip cookies encasing a whole bunch of chocolate frosting and marshmallow sauce. Do I even need to say anything else? Or does it go without saying that it was delicious? Because it’s just as good as you’d hope it would be. I should note that it’s incredibly heavy, both figuratively and literally — the thing must weigh like half a pound, so eating this all at once isn’t advisable unless you have a particularly large appetite. But it’s so, so good.